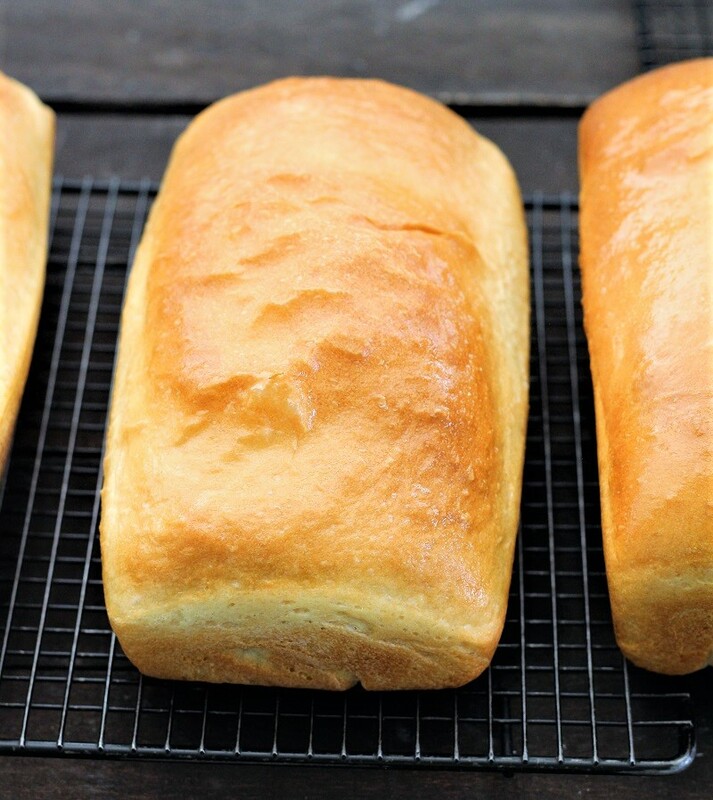 Basic white bread is a great recipe for any cook. Your family will love you for making this. I remember when I was growing up and my mom would make bread. I use to ask her for a piece of the dough! I am not sure why I liked it so much. I think about that now and I almost lose my lunch. But if you eat a slice of basic white bread after this has been baked, that is the best treat ever. The smell that baked bread makes, leaves the best smell ever in your house. It reminds your family how much you love them. Make some today; add it to a bowl of soup and you are going to be in heaven. Today, we have been taking bushes and trees out of our yard. We had one tree that we really loved, but it got a bug of some sort and it started to die. We had crazy winds yesterday and so we decided that it was time for it to come down. I left for about an hour and when I got back, my husband, son and his friend had 3 bushes and 1 tree out of the ground. So we spent the rest of the day chopping, cutting and cleaning. It is so strange how it changes the whole look of things. My cute daughter-in-law said that she didn’t even recognize the house. We had these fun little pine bushes, but they kept getting so much bigger every year, we knew that they had to go or they were going to damage our sidewalk. So out they all came. It is a little crazy; you buy them and put them in, and then sometimes they grow too big and you have to take them out. Hmmm I think grass is looking better and better and you don’t even have to weed it, other than put weed and feed on it. However, it is nice to have some color in the yard and so I will be looking for something new in the spring. So, when we came in the house, it sure was nice to have a slice of this amazing basic white bread with a little butter and some honey on top. And if you want, you could just mix up a batch of honey butter. I will have to get busy and get my recipe for honey butter on the blog. Halloween is coming and I can just dream of some scones with honey butter on top. Yep, I guess I know what I will be making next week. Are you all ready for your Halloween family meal? I will be going and getting a pumpkin for our dinner in a pumpkin next week. I can’t even believe it. But I hope that you get a chance to make this yummy basic white bread, and I am grateful for my sister-in-law who shared it with me!! In a medium bowl, place 1 cup water with ½ tsp sugar and the yeast. Water should be around 110 - 130 degrees. Let yeast rise for 6 - 8 minutes. Place 5 cups of the flour,sugar, salt, powdered milk, and the vegetable oil, into a large bowl with a bread attachment. Add the yeast mixture. Mix, and start adding the other 4 cups of the water. Then add enough flour to make it just a little tacky. (Around 12 cups total). Mix for 4 - 5 minutes. Spray or grease a very large bowl. Remove the dough and place in the greased bowl. Place a piece of plastic wrap that has been sprayed with cooking spray over the top of the dough or I just place the lid very loosely over the top, (my bowl holds 42 cups).Tupperware's largest bowl. Take a serrated knife and cut into 4 equal pieces. 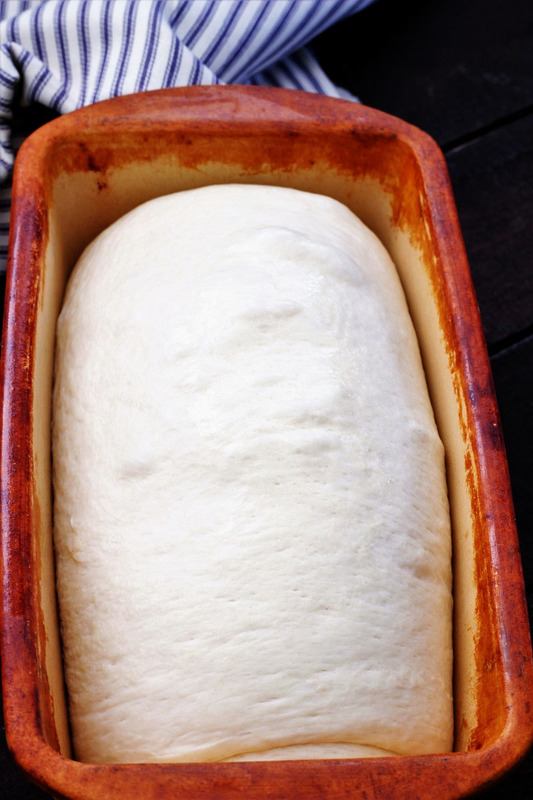 Flatten the dough into a rectangle and then roll up starting with the longest ends. Place the dough into 4 greased bread pans. Place sprayed plastic wrap over the dough. I use the same piece. Let rise for 20 - 30 more minutes. Bake in a preheated oven at 375 degrees, for 30 - 45 minutes. Again, it depends on your stove. Mine took 30 minutes. 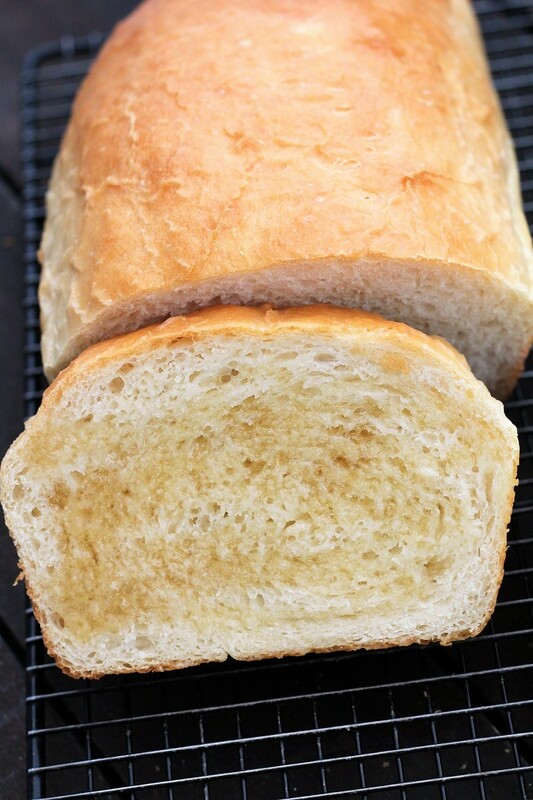 Remove when the bread is golden brown or the middle temperature is 195 - 210 degrees. Butter the top of the bread using a pastry brush. Remove bread loaves from the bread pans onto a wire rack. Otherwise your bread will go soggy. Use a serrated knife to cut when ready to eat. Mmmmm I can almost smell that wonderful smell of bread baking in the oven!! Doesn’t get much better than that! Can I put this in my breadmachine? I’m going to try my luck with this tomorrow! I’m scared to death to attempt baking bread, but I need to give this a whirl. I rec’d a Kitchen Aid mixer with the glass bowl and 4 attachments 3 years ago for my 72nd B-Day and have yet to make a loaf! I’m trying to believe all the respondents who say over and over how easy it is. I’ll let you know how they turn out. I plan to halve the recipe.